I’m going to a company Christmas party in January with my husband. There will be approximately 500 people present at a posh Italian restaurant in Grand Rapids. No one is Italian at the company. It is one of those deals when you have to “Suit up, show up,” otherwise you’re fighting the wind. In the years past, the dilemma was the food. We always got a turkey dinner only two weeks after having it at home for Thanksgiving. The company spokesman said it was because of religious reasons they couldn’t serve beef. The Canadian based company has a diverse employee base, and a big human resources department. This year the issue are adult beverages, and not for religious reasons. I’ve been thinking about the stagnant beverage sector lately. Check out these chateaux in France. Photos by redstuffdan. Beer and wine at the KDL library. Lowell, MI-What do beer and books have in common? 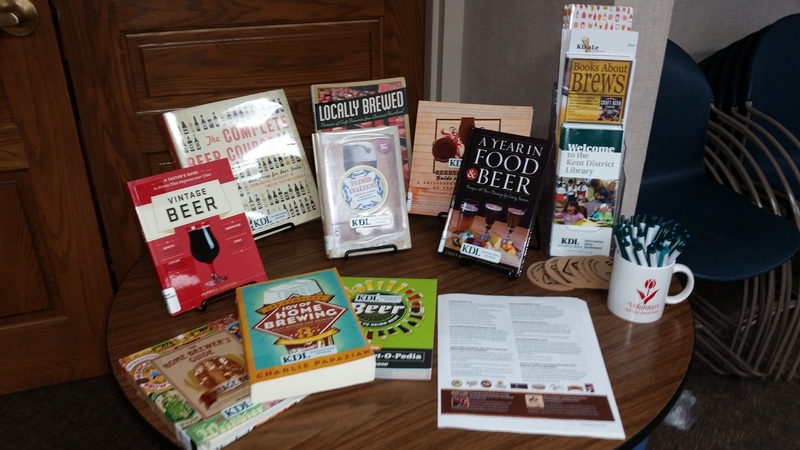 Well, there are books about beer and home brewing at the libraries. And the Kent District Library Englehardt branch supports creative partnerships, according to library director Josh Bernstein. 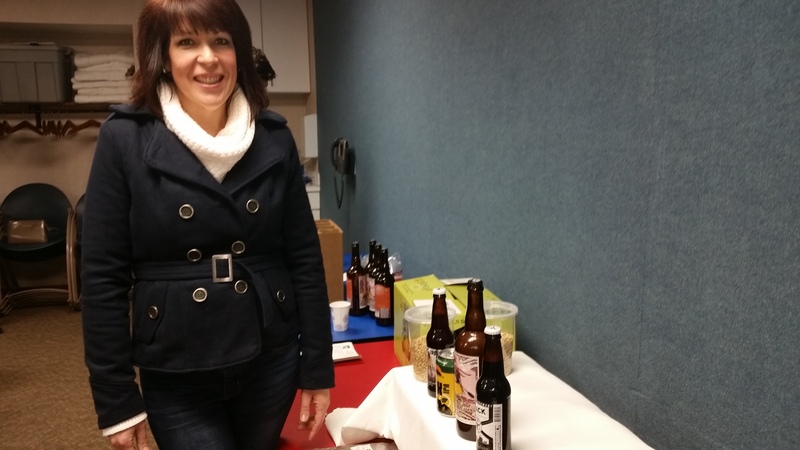 Stacey Faba of Pauly’s presented four microbrews from their store in Lowell at the tasting event in January. This was the second event of its king after wine tasting last fall. What is more complex beer or wine? Well it depends on who you ask. The French would say wine, the Czechs would say beer. Stacey Faba at Kent District Library talks about beer. However, due to the recent invasion of microbrews it’s not as straight cut as it used to be. That’s why KDL held the sampling event. Pauly’s has been at East Fulton since 2008 with 650 different beers, a wine set and a liquor set. “We sample everything that comes into the store,” said Faba. “I am a fan of fresh beer and lively. But, that changes daily. Faba presented four beers in a first time collaboration for beer tasting. The event is per registration only, and it is kept down to 30 people. Now, in deep winter we’re in the Stout season with its full body and foam. In general, according to Faba, dark beers are better in colder temperatures, while light ales are great to quench the summer thirst. So, we had some Vanilla Java Porter, which is a stout. We also sampled a Belgian style Belgian Red with fruity characteristics. “It is hoppier than average,” said Faba. Although complex, the basics of beer are simple. Every beer starts with malt, hops, water and yeast. 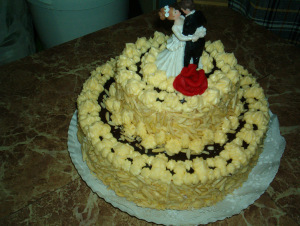 The result is only as good as the ingredients, just like culinary creations. However, the taster of different beers, can change in a matter of days, according to Faba. “In two weeks the beer starts evolving in the bottle as the acid settles,” she said. A true seller temperature is 58F. However, for storing 50F is best. The lighter beers require cooler temperatures, while the heavier beers require warmer temperatures. Most craft beers should be stored under four months. As in the case of Kentucky Breakfast Stout, nothing good is going to happen to it with longer storage. Also barley wines should be kept fresh and young, although the high alcohol content holds them longer. Spring beer release is in February such as Big Foot from Sierra Nevada. It goes well with zucchini or banana breads or marsalla sauce. Corona in white bottles is a typical example of light penetration. The beer acquires a “skunky” flavor, that’s why lime is used. “In 20 minutes it has a different taste,” Faba said. More and more beers are being canned even by breweries like Sam Adams, who put Boston Lager in cans. “You can carry more cans than bottles,” Faba said. Cleanliness is paramount in beer making; and not just washing but sanitation. Aging depends on the beer. Pauly’s does age beers and releases them when the time is rights. Sours (beers) provide a link between wine and beer, and they go well with fatty foods like pulled pork, because the acidity cuts through it. Craft beer movement is on the rise as tastes and palates evolve, and who doesn’t like to experiment with new stuff? Water is just important to beer like cleanliness to your kitchen. “At Bell’s you could eat off the floor,” Faba said. Dark beers are also good for floats and with desserts. Beer is also more flexible than wine for pairings. Vanilla Java Black goes well with cannoli or a hearty stews. But, always know what you like. Be flexible. Ask for a sample. Whether wine or beer, price is not always of quality or your particular taste. Taste the samples in the right order. And remember, as Faba puts it, “No two beers are the same. KDL will host a wrap-up party on Feb. 25 at 6:30 p.m. at Gravel Bottom Brewery at 418 Ada Drive in Ada with a brewery tour and the release of the new KD aLe beer. 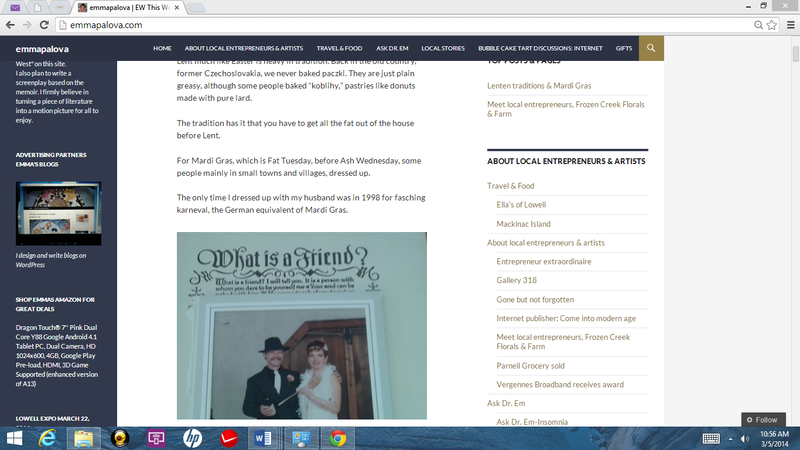 Copyright © 2015 Emma Blogs LLC. All rights reserved. 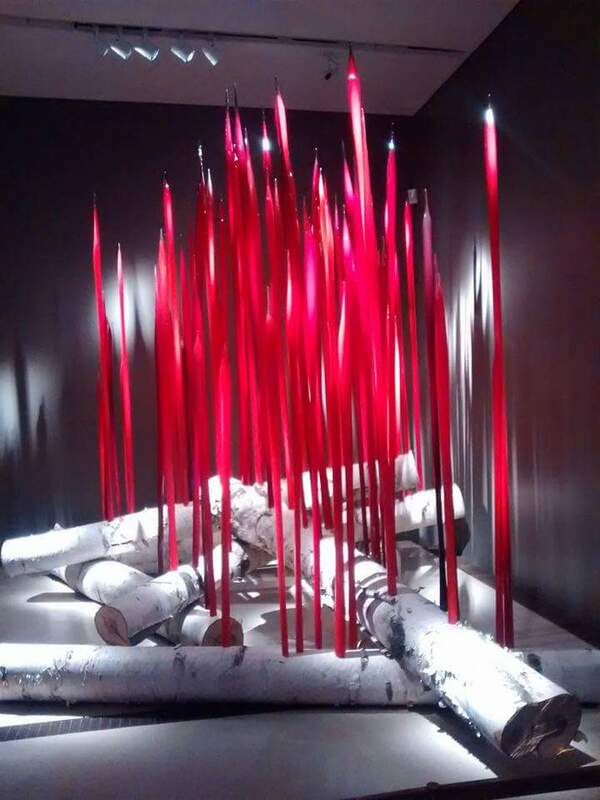 Read about Tamela Spicer’s travels to wine country Uruguay. Note: This is the second account of Tamela Spicer’s recent travels to Uruguay in South America. On my recent trip I had the pleasure of indulging in many of Montevideo’s finest pleasures, including a stunning Opera at Teatro Solis and a world-class ballet led by the infamous Julio Bocca from Buenos Aires. I also discovered something new, the wine road. Created in 2005, Los Caminos del Vino features a variety of small boutique vineyards along the southern region of Uruguay, many of them within 30 minutes of Montevideo. Wine making has been part of Uruguay for several decades, but it has only been in recent years that the wines have gained international attention. Tucked beneath Brazil on the South American continent, Uruguay is a country filled with vast ranches, hundreds of miles of beautiful beaches, amazing boutique vineyards, and a large metropolitan city that offers all the culture you might find in New York City, but with the warmth of a Midwestern community. 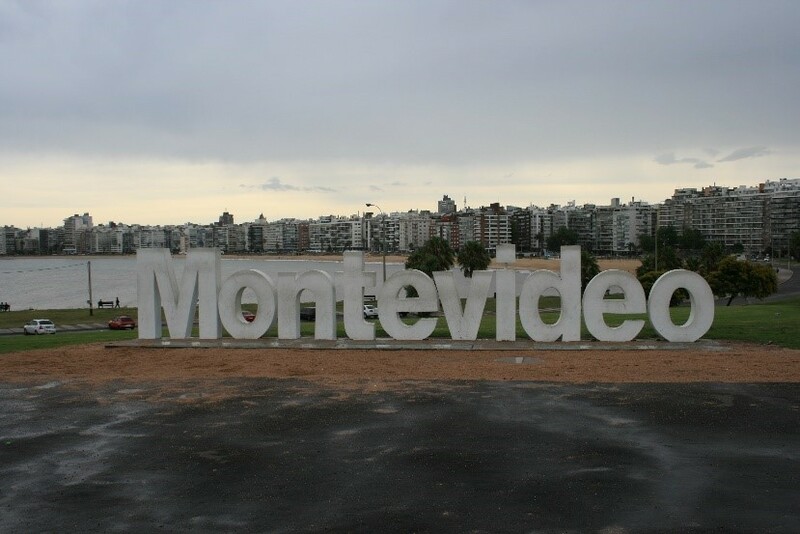 I visited Uruguay for the first time in 1980, living in the capital of Montevideo for one month and in the northern city of Salto for three months. It would be years before another visit in 2008. 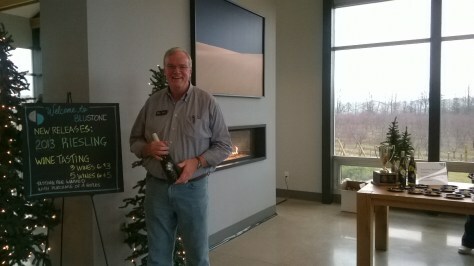 Toast the season in Leelanau Peninsula, Michigan. Lowell, MI-There is no such thing as a bad location for a wedding. I’ve been to weddings as far as France and in former Czechoslovakia, which was my own, and as close as to Alto and Hastings.